Chatham Connection: Guitarist Dan Noordermeer is from Chatham. 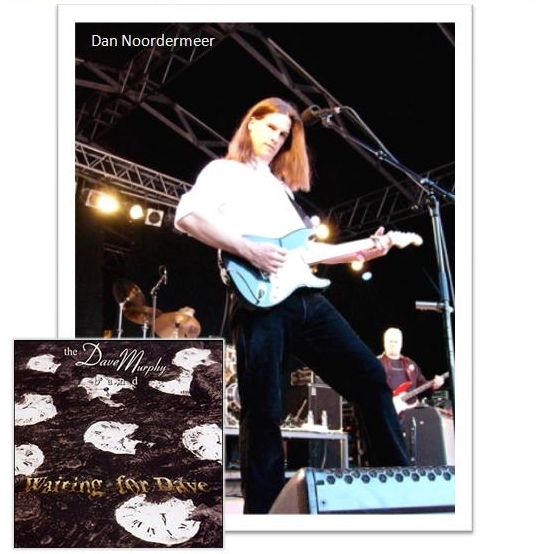 Dan played locally with ‘River Road’, was a long time member of the Jeff Healey Blues Band, and has done session work on several CD releases. Guitarist extraordinaire Dan Noordermeer has been with the band for almost a decade, and continues to dazzle audiences with his formidable talents. Originally from Chatham, Dan now resides in Hamilton. Dan is known for his Samson-like mane of hair and his wicked sense of humour. Unlikely as it seems, Dan was a full time country musician for many years before joining the band. But for those familiar with his playing it’s no surprise, since he has an uncanny ability to play every style of music with incredible authenticity, passion and virtuosity. Over 200 shows a year quickly earned the band its reputation as one of the most talented, versatile and hardest working acts in the business. In the summer of 1996 the band released its first album entitled “Waiting for Dave.” The ten original tracks display the broad range of the group’s influences and talents. Later that same year, a dream came true for the band when they opened for their hero, James Brown. Since then the band has opened for numerous other acts, including The Bare Naked Ladies. 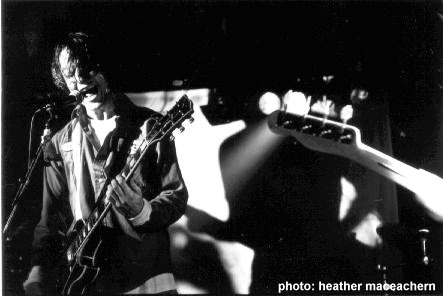 In 1997, the band made the prestigious Orbit Room in downtown Toronto their new home for weekly performances, where the band continues to perform on Friday nights. It was here, on a stage complete with a house Hammond organ, that the band really began to stretch out musically, and since then there have been many incredible shows featuring the band at their spontaneous and improvisational best. In early 1998, exhausted by years of nonstop performing, the band took a four-month break while Dave travelled around the world. Quartette is a Canadian country-folk group.1995 and 1996 they were nominated at the Juno Awards in the category of best country group. 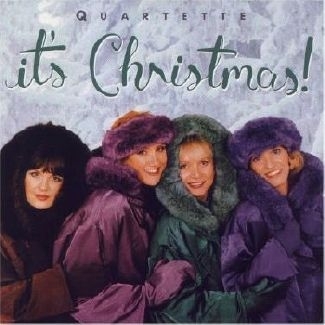 I knew I was in for a treat when I listened to It’s Christmas, because I had also received a copy of Quartette’s new CD, In the Beauty of the Day which is simply awesome! And I wasn’t disappointed. This beautiful “super band,” composed of four of Canada’s best folk and country artists, does everything it needs to live up to its tremendous potential. Cindy Church begins the record with a strong voice and spirit, singing lead on the title track (a song she co-wrote with Nathan Tinkham). This song is one that should get year-to-year air play. It’s a hit. Colleen Peterson follows with an excellent lead vocal on the folk selection Holy Christmas Night, a song she co-wrote with Nancy Simmonds. Sylvia Tyson follows shortly afterward with her beautifully sweet voice on her song The Angels Wept. I am beginning to detect a pattern here. Caitlin Hanford follows up in grand style with This Year My Christmas Wish Is Mexico, which she co-wrote with Nathan Tinkham. Yes, a pattern is emerging. Bowing to tradition by including O Come, O Come Emmanuel, What Child Is This, and Silent Night, this qute, qute, qute, qute qountry quartet has brought forth a mostly original cache of catchy Christmas carols. I reserve my highest praise for records like this one, which give something back to the season. It is worth mentioning that in addition to sharing duties on lead vocals, these women are an excellent blended chorus. And the instrumental accompaniment sounds richer than much of what Nashville has produced in the ’90s. These ladies, each an accomplished artist in her own right, have created an energy and synergy that is extremely effective on this polished and pretty pop country offering. Chatham Connection: Bass player Mat Davis is from Wallaceburg and played guitar for the biggest metal/ thrash band to come from Chatham (M.A.D. / The Mad)1988-1993. Formed in early `94, this intense and adventurous three-piece from London, Ontario recently inked a deal with indie label Liquid Records. Its self-titled debut features 14 songs of dramatic, borderline, schizophrenic stylings from punk sentimentalist rock songs, 80s new wave, trance-like dirges and even experimental noise. “When you dream about being in a band, you dream about being in this band,” wrote ID Magazine. The band also played on the ‘Tom Green Show’ before it got picked up by MTV. 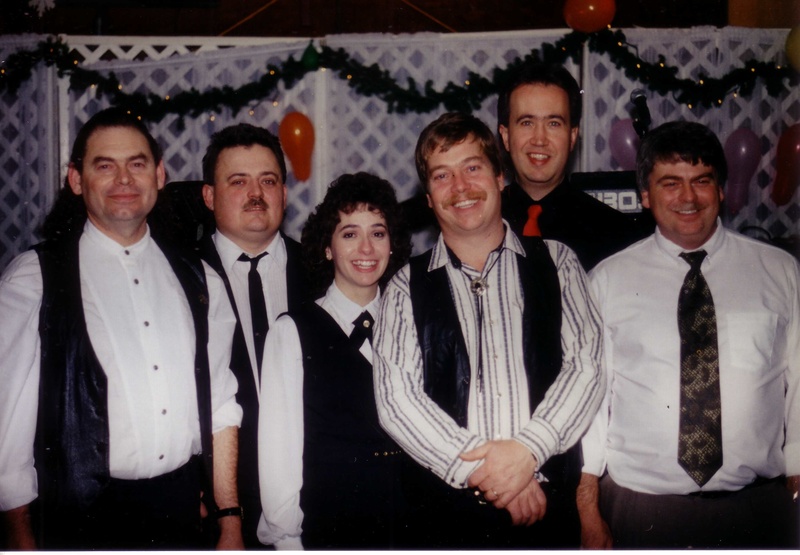 In 1997, The Janet Theory invited the band down to play the CAW Hall in Chatham with them and a few other local bands. This was the biggest underground indie show to hit Chatham’s vibrant scene that year. The song ‘Freeway’ took the band to a level most bands would like to sit at. The guys gained heavy rotation and support from Much Music, and mainly college radio. Around this time, Nirvana was on top of the music scene which allowed bands of this genre a chance to get in the door. If vid does not appear, watch here. Listen to the CD here. This is where is starts to get confusing! 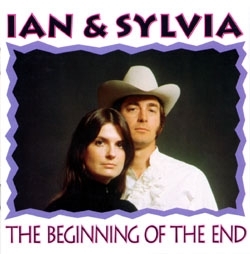 This is a re-issue of the album Ian and Sylvia issued on Columbia (30736) in 1971. The notes by Richard Flohil imply that this CD contains their final two albums, and it even mentions songs from the second (last) Columbia album, but actually only the first Columbia album is included. If that weren’t confusing enough, the title of the CD is taken from one of the songs on the second Columbia album!! All this suggests to me that they must have planned to release both albums on one CD, and that their plans changed, but somehow they never got around to changing the notes. On the plus side, this has four bonus tracks (12-15) that never appeared anywhere before (perhaps they decided to include the extra tracks rather than squeeze the two albums onto one CD?). Another problem is with this CD is that it gives no writing credits. I’ve supplied some of them below. Recorded at the Newport Folk Festival in 1963 and 1965. 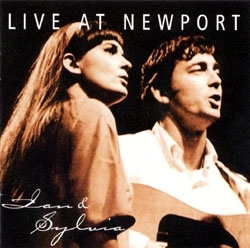 A great CD showing what a solid live act Ian & Sylvia were. All recordings previously unreleased except 3, 11, and 12, which had appeared on various Newport compilations on vinyl back in the sixties. 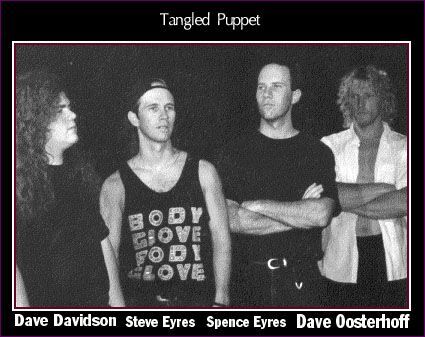 From 1995 to 1997, Tangled Puppet was simply the best cover band in Ontario showcasing the best musicians in the rock genre. They played every venue in Chatham including the infamous Aberdeen, & filled clubs through out Ontario for 2 years straight. The band was known for their dead on covers of Pearl Jam, I Mother Earth, Stone Temple Pilots & other leaders of the grunge movement that was happening at this time. * Oosterhoff left the band in ’97 & was replaced by Aaron. Steve owns & operates Franks Music Centre & The EyresSpace studio which is home to the best local recordings. He has played in previous bands such as ‘The Rebels’. Spence has previously played in Tom Lockwoods band ‘Lockwood’. He is the studio drummer on various local recordings including Julie Ross. Dave was previously in ‘Lyre’ & also played in the Julie Ross band. After Tangled Puppet ended, Dave joined Manpower & continues to perform on a regular basis. You are currently browsing the archives for the 1996 Music category.